I always look forward to February. You may be asking yourself “why February?” Well, the holidays are over, the promise of spring is in the air and, at least here in Salt Lake City, it means the opening of the annual RootsTech Conference. This year’s conference was held February 11-14 and was combined with the Federation of Genealogical Societies Conference which made it an even bigger and better conference than ever for family history enthusiasts. RootsTech 2015 Expo Hall by Lynn Funk. Used with permission. This was my third year attending the conference and as always it was an enjoyable experience. The theme this year was Celebrating Families Across Generations. Keynote speakers included Dennis Brimhall CEO of FamilySearch International; Mike Mallin, CPO MyHeritage; Tan Le, found of Emotiv; former First Lady, Laura Bush and her daughter Jenna Bush Hager; D. Joshua Taylor, Director of Family History at FindMyPast; author A. J. Jacobs, and singer/entertainer Donny Osmond. All had fascinating stories to tell about their ancestors and what family and family history means to them. You can watch many of these addresses as well as some of the workshop presentations online at rootstech.org/video. RootsTech has something for everyone from workshops by top-notch genealogical lecturers to the latest innovations in technology that aid in researching, organizing and preserving your family history. There were several hundred classes to attend and an expo hall filled with everything from books to software to genealogical education and online storage. The National Institute for Genealogical Studies even had a booth there. I stopped by and had a wonderful conversation with Managing Director, Louise St Denis! 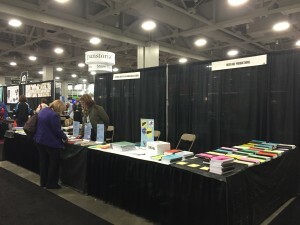 National Institute Booth at RootsTech by Shannon Bennett. Used with permission. 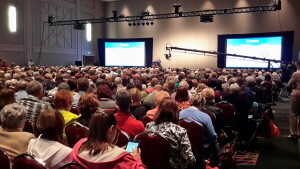 While many of the classes at RootsTech were geared to beginning genealogists, I did find some gems that would definitely be of interest to the more seasoned genealogist, such as Judy Russell’s lecture entitled How Old Did He Have to Be? This lecture focused on the importance of knowing the law at the time and in the place where your ancestor lived. There were other intermediate and advanced classes that dealt with genetic genealogy, creating online research plans, deciphering old handwriting, and self-publishing tips for genealogists. 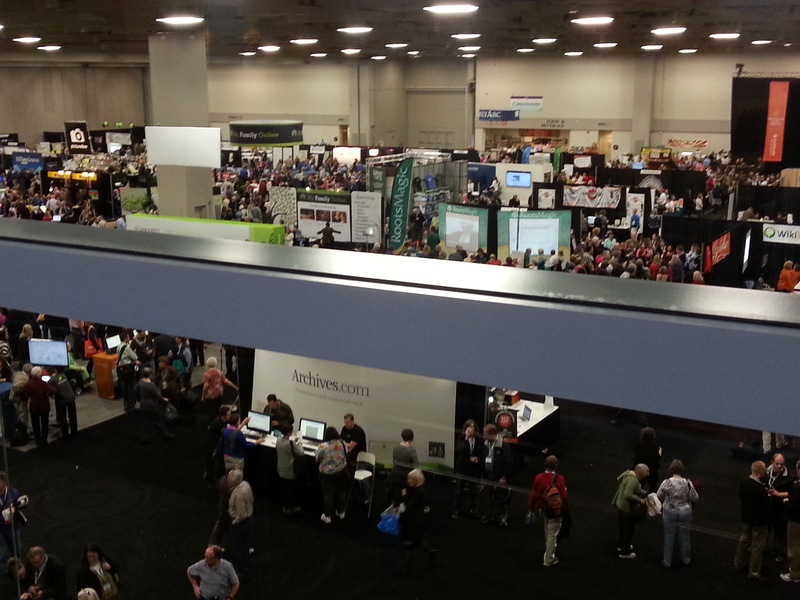 RootsTech 2015 Census Workshop. Photo by Lynn Funk. Used with permission. I took a couple of fun (and helpful) classes taught by Thomas MacEntee. One was Pinning Your Family History which gave suggestions for how to use the popular social media sites Pinterest, History Pin, and even Google Maps to share family history photos and also to connect with others who may be researching your line—”cousin bait” as Thomas called it! The other class I attended was Building a Genealogy Research Toolbox. In this class we learned about important online resources for our research and also how to organize these resources into an easy to use virtual toolbox. All in all, it was a great experience and one I would recommend to anyone who is passionate about family history. It’s a great place to learn new skills and connect with others who share your love for family history. You might even find a new cousin or two!